So it was that only the expedition leader Tim Edwards was told of the true reason behind the construction of the fortress of Oakfire. He had chosen the site – it was soft, quiet and dry – and he was the first to strike the earth, to form the encampment and two-bit industry required to fuel a downward dig as rapid as it was perilous In a little over two years Tim Edwards would lie helplessly in a hospital bed as the foulest and most harrowing creatures of the beneath roasted him alive. He would feel every crackling blister as his skin boiled and dripped to the soot-covered floor. He’d regret the swing of the pick. Well, it’s me digging a hole to hell by proxy. Dwarf Fortress is several different things at once. It’s The Sims and Nethack and Dungeon Keeper and Minecraft. It’s a vast, simulated fantasy world, generated just for you, with races and religions and history and wars and dwarves whose fingernails grow. It’s also infamously difficult to play, featuring only ASCII visuals and labyrinthine menus. Yet Dwarf Fortress’s reluctance to expend even a joule of energy in prettying itself results in astonishing hidden complexity. 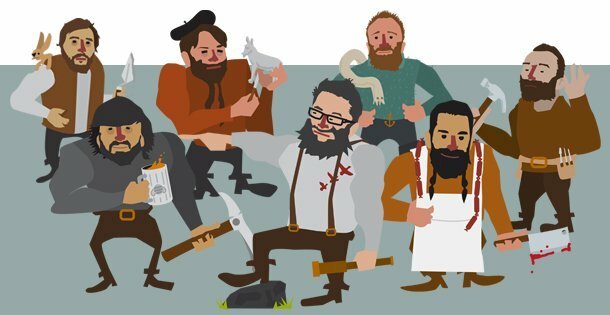 Oakfire’s expedition team of seven dwarves are my representatives in the world of Dwarf Fortress, and I’ve named them after the seven damned souls of PC Gamer. Seven auto-generated personalities, each with their name writ tiny in this world’s persistent records. Before we set out, the game has already simulated the 250 years leading up to the day my dwarves arrive at Oakfire. They’re specks, seven of tens of thousands of pawns in Ruspsmata’s everunfolding story. Their objective, and mine, is to reach the unfathomable fathoms of Hades. And so the tiny settlement lurches into life. Water from the river is diverted into an underground reservoir – its level carefully maintained by two remotely controlled floodgates – and used to irrigate a healthy crop of plump helmet. Owen Hill harvests the plant, using it to brew fine dwarven wine. Oakfire has fuel. It breathes deep, rancid wine breaths. The dining room becomes Oakfire’s attractive centrepiece, as the northwest corner has clipped a cluster of green tourmaline, creating a shimmering emerald distraction from the now daily servings of Tony Ellis’s freshly caught perch. It’s all very pleasant. It’s definitely a shame that Graham Smith is already tunnelling vertically towards oblivion and the realms of unending torture. 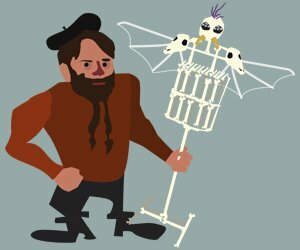 As a construction and physics simulator, Dwarf Fortress is perhaps at its least intimidating. You can’t assume exact control over your dwarves, instead you designate areas for them to work on. In these early stages, that’s a case of simply tracing out chunks of the ground to be dug. Dwarves are assigned different jobs, such as mining (which requires a pick – I’ve brought two from the mountain homes), but some labour is shared by every dwarf in the fortress, such as hauling items from one place to another. Moving stone becomes a constant low priority task. Once you’ve designated an area of land to act as a stone stockpile, dwarves will busy themselves clearing up the fortress if they’ve nothing better to do. Later, in a future Oakfire might never see, nobles and pink-fingered administrators with opulent demands and arbitrary personal mandates will show up. Many of these guys won’t help out around the fortress. Geologically, Dwarf Fortress is accurate enough. Minerals appear in the right shapes – clusters or seams – at roughly the right depths. That shock of green tourmaline in the dining room is a fluke, but not all that rare. It genuinely pleases the dwarves though, who gain happiness modifiers associated with the worth of the room. Decent furniture also plays a part in a room’s worth, but not in this instance. Tom Francis is a shoddy carpenter. He’ll improve with practice. Graham Smith’s work takes place a short distance from Oakfire’s entrance hall. A roughly hewn passage leads away from the main fortress before reaching an ever deepening pit, around which a rudimentary stairwell allows access to the rapidly descending dig site. This place is like no other in Oakfire: narrow, with space barely enough for two dwarves to pass, and singular in its function. Rare minerals are struck and ignored, and when the stone below them runs out – when the ceilings of sprawling underground caverns are pierced – materials are brought down from Oakfire to build descending staircases so that the downward dig can continue. The pace is steady, the heading as crooked as their picks aren’t. There’s no one way to quantify the progression of a fortress, and some fortresses will never reach an underground cavern unless their search for raw material takes them there. Those aforementioned nobles are typically the cause of vertical expeditions, as they mandate that certain objects must be made from particular metals, requiring that you tunnel off in search of the stuff. A fortress will also require a healthy metal industry if it hopes to defend itself from the attentions of goblins – the game’s maligned native civilisation – and a truly efficient metal industry needs magma to smelt ore. Magma thrives deep underground. Wood burners will suffice in a shallow fortress, but what sad dwarf would want to depend on trees? Also, elves get pissed if you cut down trees. Tim Edwards becomes briefly entangled in a cave spider web about 50 levels beneath the surface. Meanwhile, in Oakfire, a meeting hall is built above the reservoir, allowing a convenient well to be constructed using Craig Pearson’s immaculately crafted stone blocks. Idiot migrants arrive, and further bedrooms are chipped out of the siltstone to accommodate their numbers. They’re unaware of the grave mistake they’ve made in coming to Oakfire – one of them even brought a cow. Unknown to all, a filthy menace is ascending from below. The noise of all the hellbound tunnelling has awoken a bugbat in the first of the two underground caverns, and now, with the entrance to Oakfire left unguarded, the flitting beast makes its way to the entrance hall. Rich McCormick is cleaning himself when the creature latches on to the calf of his right leg, bruising him through his fancy silk trousers. 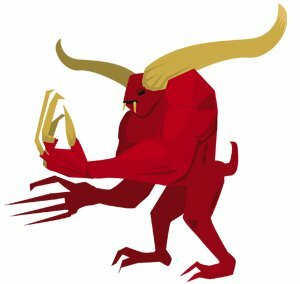 McCormick panics, grabbing at the bugbat and attempting to hurl it at nearby walls, only for it to return and latch on to various bits of his anatomy like some frantic, flapping, beetle-headed boomerang. He flails madly and humiliatingly about the fortress, crashing through the dining room and startling several hungry dwarves before the bugbat’s tiny mandibles finally slice through his right index finger. Dwarf blood spurts enthusiastically from the wound, spattering the walls. Tony Ellis, witnessing the ferocious attack, drops a perch in shock. The searing pain in the injured McCormick’s hand renders him unconscious. The confused bugbat continues to patrol menacingly about the apartments, sending frightened dwarves into a mass panic. Some refuse to reenter the fortress. It is decided that the woodcutter, Tom Francis, should be tasked with ending the creature’s life and returning calm to Oakfire. He forgoes his axe, instead booting the bugbat to the floor and caving in its tiny skull with a clumsily swung fist. In the ruckus, the pest inflicts one parting shot, a neat incision along Francis’s left foot, severing a tendon and a motor nerve. He may never walk again. He’s carried to his bed, where he’s watered and fed during fleeting and delirium-addled moments of consciousness. Cautious dwarves return to the digsite to find, in that narrow, dark space, a gory mess. Tun Eribesmul, a wood burner, had been caught off guard by the bugbat on its upward flight into Oakfire. Eribesmul’s head had been eaten by the creature. He was alive as it happened too, fading in and out of consciousness as the bugbat’s chitinous jaws scraped away at his hair and flesh, while his own warm blood pooled around him. The hobbled Tom Francis is luckier than he knows. “Seal the dig site,” comes the order, one dead dwarf too late. Craig Pearson works quickly to shape a bauxite floodgate to cap the tunnel, his hands gliding purposefully along the stone’s surface, like a pianist, but with a big rock instead of a piano. The dig site can only be opened using a lever in Tim Edwards’ quarters – the dig to hell will resume on his command. Pearson pauses his work, his head swimming with thick aromas. Owen Hill is cooking bugbat roast. Rich McCormick, silent since the ordeal, uses the bugbat’s bones to construct a macabre armour stand. He titles it Rorostar Relonomtal. He has no armour. It is symbolic. Nor did he have enough bugbat bones – he had to use four puppy bones to finish it. It is therefore not actually that symbolic. Stressed, or simply inspired dwarves will occasionally construct legendary artefacts, objects that are immediately added to the world’s permanent records. They give your fortress historical worth, becoming treasures in the game’s Adventurer mode (a Roguelike played in your persistent world). They can be discovered and, in some cases, wielded. Tun Eribesmul was a good dwarf, and a hard working dwarf, who had his head eaten to bits. He tells this to Graham Smith as he hovers above his bed. Smith is startled awake. Eribesmul, satisfied, glides through a wall and into the meeting hall, where a party is taking place between several dwarves, four rabbits, a cow, a horse and a dog. It’s a good party. The sight of the translucent and howling Eribesmul descending from the ceiling brings the fun to an end, and the dwarves flee. Eribesmul floats for a while in the meeting hall, dead and bored. And sort of sad, to be honest. Craig Pearson places a plain siltstone slab in Oakfire’s entrance hall, where a now composed Graham Smith makes an engraving as solemn as it is tardy. “In memory of Tun Eribesmul 186- 252.” Another task left too late, but at least Eribesmul’s ghost finally rests. He vanishes from the meeting hall. His corporeal leftovers, meanwhile, rot in the tunnel. In previous generations of the game, proper respect only needed to be paid to the nobles, the Dukes, Barons and Counts, of the fortress. And even then, that respect only needed paying prior to them corking it. That is, they’d demand to see the grand mausoleum they would one day be put to rest in. If it wasn’t to their liking, they’d throw a tantrum until you’d upgraded their surface level ditch to a deep, gold-swaddled burial chamber. Once they’d actually gone for the big sleep, they honestly didn’t mind where. Now, however, graveyards are necessary to ensure a haunt-free fortress. Eribesmul’s body couldn’t be reached, but that engraved slab in his honour would suffice. Had his body been easier to retrieve, Craig Pearson could have fashioned a coffin and placed it in a tomb. This is preferable, as the sight of a corpse creates a negative happiness modifier in other dwarves. Well it would, wouldn’t it? Oakfire now has a militia of six proud dwarves and one proud dog. Two axedwarves, two speardwarves and two wrestlers, barely trained, inexperienced and armourless. They’ll do. Oakfire can continue its for-whatever-reason urgent downward trek toward its dark objective. 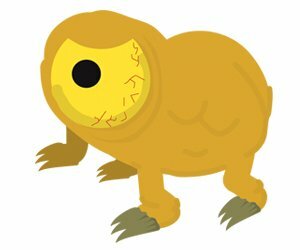 The tunnel is reopened, and behind the bauxite seal waits a small crowd of impatient, underdwelling beasts. Oakfire is ready for them. No, the opposite of ready. Unready. That’s it. Crundles stream forth from the tunnel entrance, at least half a dozen in number. The militia had never seen such creatures. They strike and swing and thrust blindly. Several of the untrained dwarves are injured in the affray, Stukos Adilinen’s ear is torn off. Amid the ruck, Graham Smith and Tim Edwards creep into the now cleared tunnel and make their way down to the dig site. As long as the militia can occupy the creatures of the earth above them, they can continue the dig below. The journey to hell is now Oakfire’s priority. The safety of its dwarves a secondary concern. The tiny crundles are defeated. Owen Hill serves crundle stew. Butchers are an important part of any fortress. An experienced one can maximise the amount of food a corpse provides. 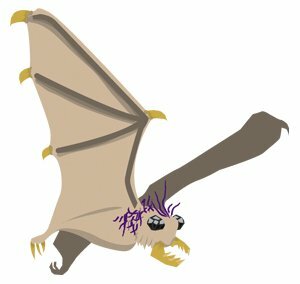 Tiny crundles only have a few edible parts, but bugbats are a veritable feast, with a brain, lungs, liver and tripe to be harvested from their tiny dead bodies. A decent cook will turn fat into tallow, which will keep forever at room temperature. In larger fortresses, animals can be tamed and slaughtered for a regular supply of meat. An overpopulation of cats and dogs in a fortress might also demand an impromptu pet-feast, although if a dwarf has claimed ownership of a cat or dog, they won’t allow it to be eaten. If their pet dies through misadventure they become cripplingly depressed. Pets aren’t worth it, certainly not in Oakfire. The early months of Dwarven Year 253 are difficult ones. On the surface and in the tunnel to hell, the long-forgotten beasts of Ruspsmata respond ferociously to the bold incursions into their caverns. And these are no tiny crundles, nor clownish bugbats. A creeping eye drags its bloated form upwards, to be met with the thrashing axes and spears of Oakfire’s militia in the fortress’s entrance hall. Uthmiklor forces the enemy back into the tunnel before piercing the grotesque creature, spilling its vitreous ichor across the tunnel floor. A giant toad bounds giddily towards the commotion, the fiercest enemy Oakfire has yet faced. Tim Edwards, seeking respite from the dig, is unfortunate enough to find himself in the toad’s path – he’s hurled through the dank fortress air, colliding forcefully with the wall of the entrance hall. His lower body is shattered, his right thigh broken, his left leg bruised and bleeding. He is dragged to the newly formed hospital – simply a collection of beds hurriedly pushed into a crudely excavated room beneath the workshops – and laid alongside two unconscious militia members. Kosothinod and Shorastdthl fared as badly in the giant toad attack. The toad itself now lies injured in the entrance hall, croaking meek croaks and gently spilling toad blood on Oakfire’s glorious entrance steps. The militia is retired so that they may tend to the wounded. The toad is left to bleed to death. Meanwhile, an oblivious Tony Ellis is startled by a goose while fishing. He drops a perch. The simplest use of migrants, who’ll turn up to your fortress in greater and greater numbers as they hear of its prosperity, is to draft them into the militia. Multiple squads can be formed, and patrols scheduled so that when one squad comes off-duty, another takes over. They can be told explicitly which enemies to attack, can be assigned a uniform (though Oakfire has no armour) as well as weapons, or simply told to pick up whatever sharp thing is to hand. Barracks are where off-duty squads train. Previous versions featured some overzealous regimes, whereby a dwarf with a decent sword could easily, even fatally, injure his training partner. Injuries when training are still common, but are mostly limited to bruising or, less frequently, broken bones. Crossbow training requires the construction of a range with targets, unless you want your dwarves to practise firing across the barracks itself. Decent barracks should feature ditches beneath archery targets, so that dwarves aren’t placed in mortal danger as they attempt to retrieve spent bolts and arrows. That’s moot anyway, as Oakfire doesn’t have a single crossbow.Yeah, this probably isn’t going to end well. On this day, in the autumn of the Dwarven Year 253, Graham Smith breached the portal to hell. It was not a simple process. At 158 levels beneath Oakfire, he first reached warm stone. Beneath him boiled a heaving ocean of magma, 20 levels deep, enough to consume all of Oakfire several times over. Somewhere beneath that, he supposed, was the underworld. It was traversing this troublesome sea of molten rock that raised the problem. The solution? That was found in the grand pillars of raw adamantine that sounded the depth of the magma sea, from top to bottom, a bit like those sticks that hold gourmet burgers together. Get inside one of those, and you can mine a shaft the whole way through the troublesome magma. Safe as you like. On the 6th of Sandstone, Graham Smith discovers an adamantine seam. He steadies his pick, lifts, and strikes the precious mineral once. It collapses inwards. The seam was hollow, an adamantine straw poking up through the fiery ocean from the lower depths of Ruspsmata. Smith hears horrifying screams coming from the hole. He peers into the darkness before him, considers what he sees, turns, and runs fast for Oakfire. There are 29 dwarves in the narrow tunnel. Oakfire had become accustomed to the presence of at least one of the caverns below, and many clothiers would travel there to collect cobwebs, which they would then fashion into silk threads for their socks. The dwarves liked making socks. Other dwarves were there to construct the muchneeded wall between the cavern and those hastily built stairs, which should hopefully stave off further crundle attacks. Twenty dwarves are destroyed by the evil rising from the underworld. Not simply destroyed, but torn limb from limb. Their limbs are then messily reduced to their constituent parts. They’re grabbed and thrown with such force that they effectively explode in a grisly shower of dwarf blood, dwarf bone, dwarf sinew and dwarf giblets. Quickly, too. A score are massacred in seconds. Owen Hill, who’d been looking for plants in the caverns, is now strewn about everywhere, over everything. All things between Graham Smith and the entrance to Oakfire are devastated as the dark and cruel force races towards the surface of the world. 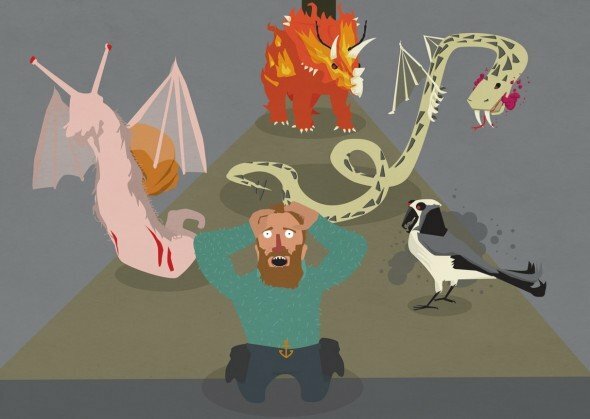 It’s important to understand how excruciatingly detailed dwarven pain is. Dwarves have individually assessed limbs, each with breakable bone, fat, muscle and skin. A bone can be broken without breaking the skin. Fat can be bruised without breaking a bone. “We’ve had body-part damage in our fantasy games for almost as long as we’ve been writing them,” explains a blood-thirsty Tarn. “Having creatures with bodies led to things like the current butchery system, with all of the various organs, and the further products that come out of having lots of materials available, and it also made the wrestling system possible – as silly as it currently is. The anguished howls of fallen dwarves are heard in Oakfire and the bauxite seal is replaced. The tunnel to hell is locked shut, with confused, panicking dwarves still trapped inside. On the wrong side of the door, Likot Naniroddom clutches her baby son. Her husband, Zon Fererush, is in the meeting hall, oblivious to her imminent, gruesome death. In the vanishing moments before the tide of violence reaches her and her child she engraves an image of Rich McCormick holding aloft a bugbat bone armour stand. Oakfire’s only symbol of triumph over the creatures of the underground. No solace against what’s to come. The militia stand firm in the entrance hall facing the bauxite seal. The muffled shrieking of doomed dwarves goes unheeded. They wait. A roar. A crack. A thud, and a sound like a coconut falling into a bath full of mince. Then silence. The seal is blasted open from inside in an explosion of flame and stone. A surprised dog is fried alive. The entrance hall fills with dust, smoke and steam, and when it clears Oakfire at last sets eyes on the denizens of the underworld. So many denizens of the underworld. There is a Salt Demon: an enormous grouse composed of salt. A Jay Devil: a huge jay with lidless eyes. Beware its deadly dust. An enormous eyeless pterosaur. A White Brute composed of snow. A great one-eyed dove. It has three short tails and it squirms and fidgets. 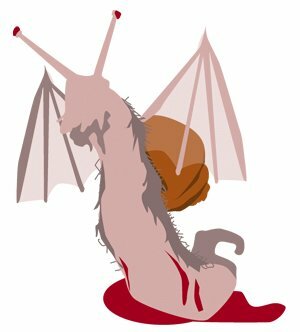 A towering hairy snail, a towering thornbill composed of ash, a Demon of Flame, a Steam Demon, a Haunt of Brine and a Serpent Fiend with external ribs. Stukos Adilinen is torn in two by the dove before he can react to the sight of this conglomerate of festering, avian weirdness. Militia commander Catton Isonerush lunges at the jay with his bronze axe. His upper body is torn open by the hellbird, gushing blood. Lifting him by a shattered hand, the jay devil slashes at his legs with its sabre-like talons. His right leg is severed at the knee and begins to pump dwarf blood on to the entrance hall floor. Isonerush is dead before the bird drops him. Uthmiklor and Ustansign are utterly kicked to death by the grey brute. The demons rage through the fortress, burning and steaming the population of Oakfire as they go. Francis and Edwards are killed in their beds. Ellis is eviscerated mid-meal. Hill lies dead behind the remains of the seal. Pearson falls in his workshop. McCormick is cooked in the hospital. Smith is a bloody smear by the adamantine seam. I’ve lost the fortress. Even a highly trained army of dwarves would fall before a handful of demons. And these demons are numbered on the status screen as ‘uncountable’, a dizzying quantity otherwise reserved for ants and other vermin.I’ve probably doomed all of Ruspsmata. When the demons reach sunlight, their rampage continues unabated. An inferno erupts from the mouth of Oakfire, a wall of flame spreading outward, scorching the land and leaving in its wake an expanse of charred rubble. In the deeper of the two caverns beneath Oakfire, Sigun Kivishemuth paddles in an underground lake, searching for something edible. His long sideburns are braided and his hair is mahogany. Miserable and trapped miles beneath a dead and blackened fortress teeming with uncountable demons, Sigun, Oakfire’s orphan, gently loses his mind. He’s heard the commotion coming from above. He thinks he’d prefer to stay inside.